As I write this, I am in Peru visiting with the Missionary Society of St. James the Apostle, as they celebrate their 50th anniversary. Accompanying me on the trip are a number of Boston priests who are either currently serving or have served the Society in the past, including Bishop Bob Hennessey. Since I have only recently arrived, I will wait and share the full experience with you in my next week’s post. Before I begin this week’s entry, I’d like return briefly to the subject of last week’s post. 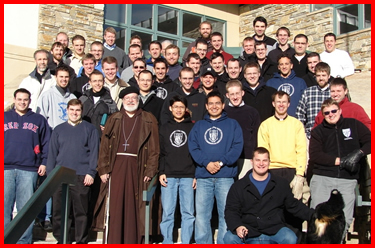 If you recall, I wrote last week about a retreat I gave for Denver seminarians at the St. Malo center in the Rocky mountains. This group photo we took at the end of the retreat just arrived earlier this week and I wanted to share it with you. 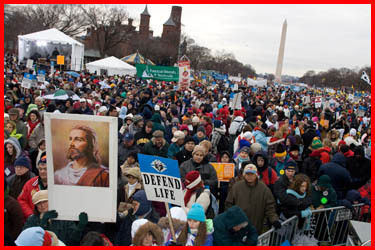 From Denver I flew to the Washington D.C . area to meet up with the Boston archdiocesan pilgrimage to the 35th annual March for Life. Our first event together was on Sunday. 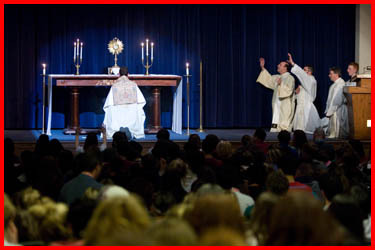 I celebrated an evening of prayer, praise and adoration with the pilgrims from Boston and Fall River at Bishop O’Connell High School in Arlington, Virginia. 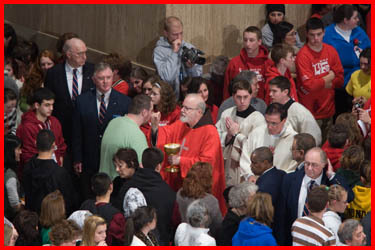 The Boston group, all high school students, were accompanied by several priests: Father Dan Hennessey, Father Michael Harrington, Father Michael Nolan and Father Matt Williams. 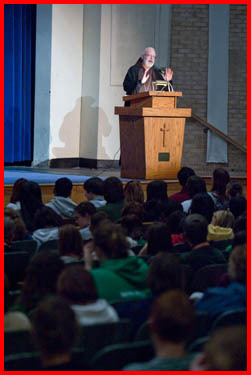 In all, around 450 high schools students and their chaperones participated at the vigil. 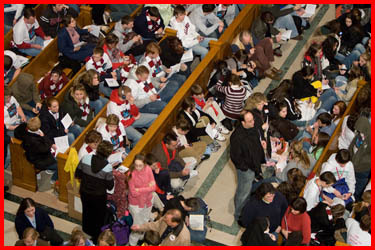 The group included students from Catholic Memorial in Boston, Pope John XXIII in Everett, St. Mary in Lynn, Presentation of Mary Academy in Methuen, Arlington Catholic, Malden Catholic, Fontbonne Academy in Milton, Nazareth Academy in Wakefield, Cathedral High school in Boston, Trinity Catholic in Newton. 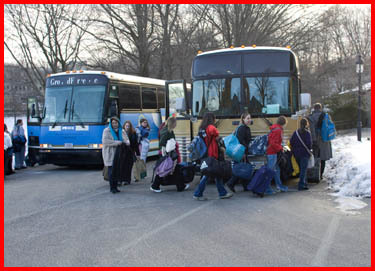 Traveling with them were members of the young adult group from Immaculate Conception in Marlboro, the Franciscan Sisters Minor in Bellingham, a group of adults from Sacred Heart in Malden and a group of musicians from the LIFT program. A reporter from the Pilot also traveled with the group. 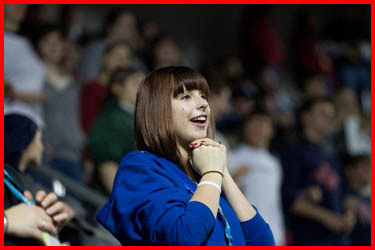 You can read her article on the trip in this week’s Pilot by clicking here. I gave a talk to the young people about the importance of their presence there and reflected about the experience of being Catholic in today’s world. 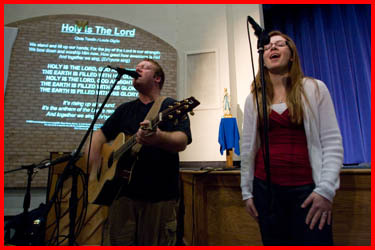 The Arlington Catholic Herald, the newspaper of the diocese, printed a nice story about our gathering. You can read it on the newspaper’s website. 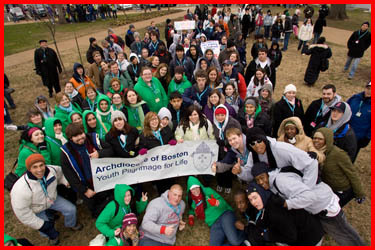 I have always encouraged young people, both when I was the bishop in Fall River and now in Boston, to be a part of the March for Life. 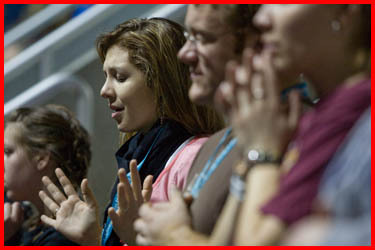 It is an opportunity for them to live their faith and to experience the testimony of thousands of other young Catholics who are there with them, all enthused about being Catholic and defending the Gospel of Life. 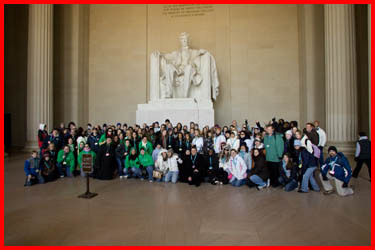 The following day, the group visited some of the historic sites of Washington as well as some of the places of interest for our Catholic faith. In the evening, we joined in the Vigil Mass that was celebrated at the Basilica Shrine of the Immaculate Conception in Washington. 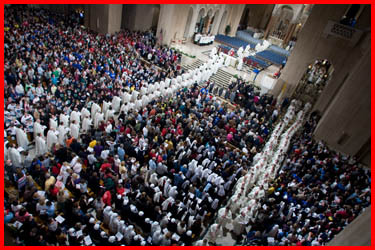 Bishops, cardinals, priests, permanent deacons, seminarians and thousands of religious and lay people participated in the Mass. 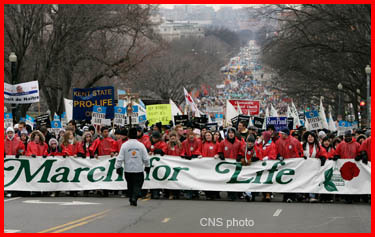 This event is always a very important part of the March for Life. The Knights of Columbus from Boston were there accompanying us and, I am proud to say, they sponsored the trip for all our seminarians. 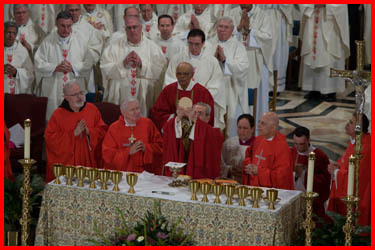 The Mass was presided over by Cardinal Justin Rigali, Archbishop of Philadelphia, who also preached at the Mass. The choir was, of course, spectacular. 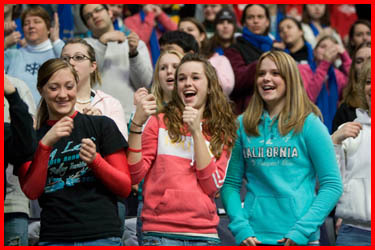 The presence of so many young people was very, very encouraging. 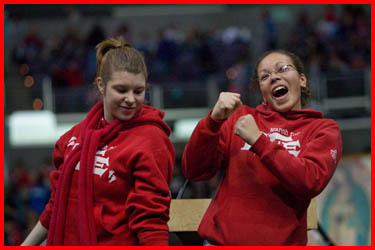 The next day we participated at the rally that took place at the Verizon Center sport arena. 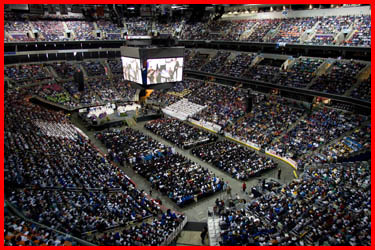 The center holds about 20,000 people and it was full. Archbishop Wuerl, the Archbishop of Washington, presided at the Mass and a young black priest from Washington preached, which I thought was a very appropriate way of marking Martin Luther King Day. 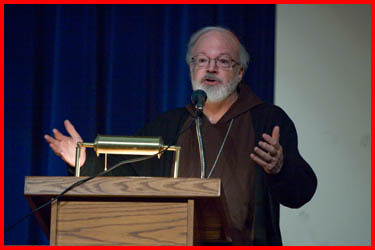 He gave a lovely reflection on the pro-life theme. 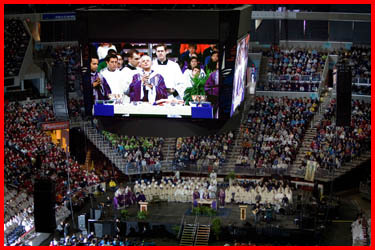 In the center of the arena, organizers placed all the seminarians present at the rally, around 600 of them, coming from all over the country. That was a wonderful witness. 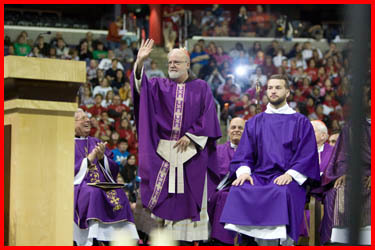 At one point, Archbishop Wuerl asked all the seminarians to stand up and they received a standing ovation from all the young people. It was an affirmation of our seminarians and, at the same time, an invitation to young people to consider a life of service and ministry in the Church. 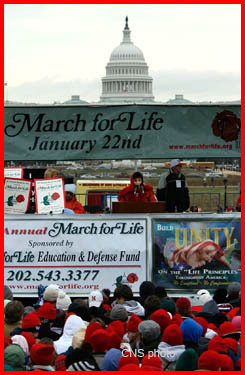 From there, we went to a stage prepared on the National Mall to accommodate the speakers and community leaders at the March for Life. President Bush sent a recorded message and there were messages from several politicians, including presidential candidate John McCain. 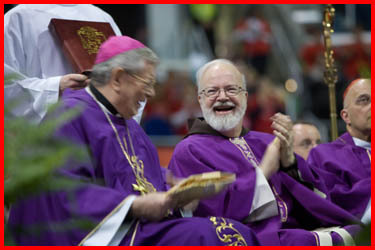 Many politicians were also present, including Senator Brownback whom I recently met in Boston at this year’s Red Mass. 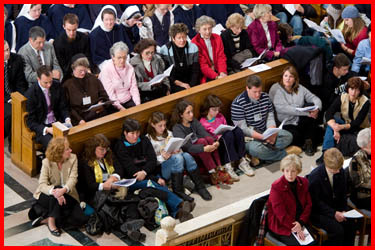 There were also many religious leaders — Jewish rabbis, Greek Orthodox prelates and ministers from different evangelical communities as well as many Catholic bishops. After the speeches, the group marched to the Supreme Court. The march was very well attended, around 200,000 people. The day before the march, the Washington Post printed an article about the Catholic college students who come from around the country to participate in the march. 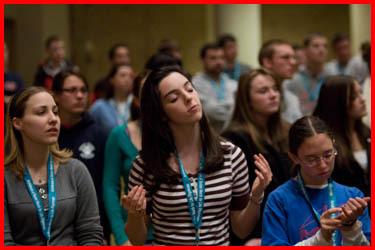 It seems that some in the secular media are beginning to recognize the fact that the young Catholics are on board with the Gospel of Life and that this issue is not going to go away. 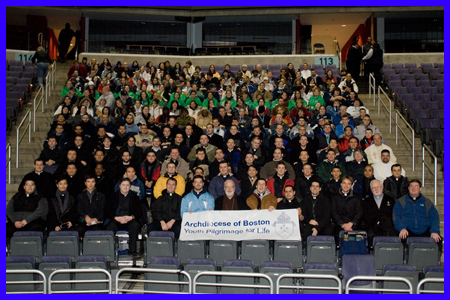 For the photo of the week, I have chosen this group photo of the Boston seminarians and youth pilgrims taken at the Verizon Center before the March for Life. Their witness is encouraging. I also thank all of you who offered your prayers of support for the march. 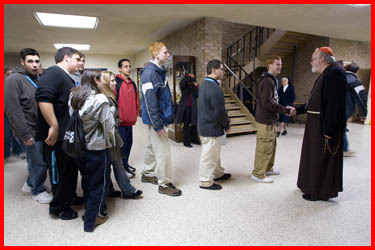 Let us all continue to pray that every life is respected from the moment of conception to the moment of natural death.